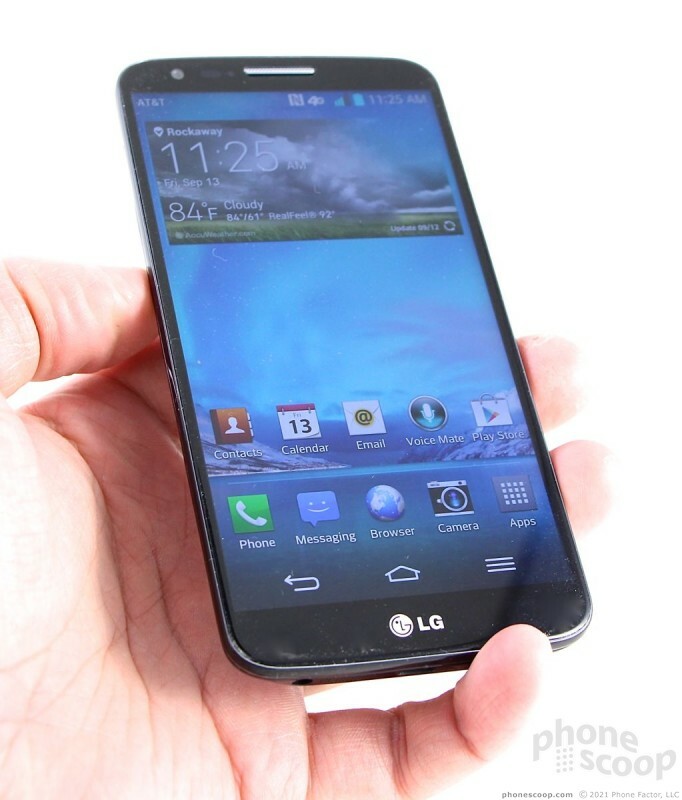 The LG G2 is a flagship smartphone that hopes to take on the Samsung Galaxy S4, HTC One, and others. It is bristling with technology, but stumbles here and there getting it all to work. 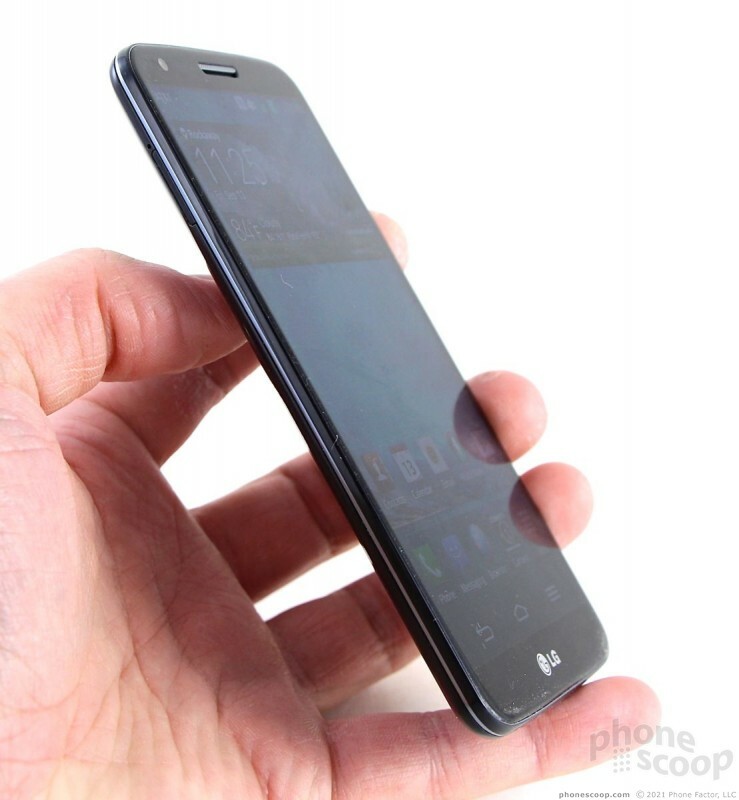 The G2 is LG's answer to the Samsung Galaxy S4, HTC One, and Apple iPhone. It's a flagship smartphone that includes every feature known to tech-kind, all wrapped in a slick shell. 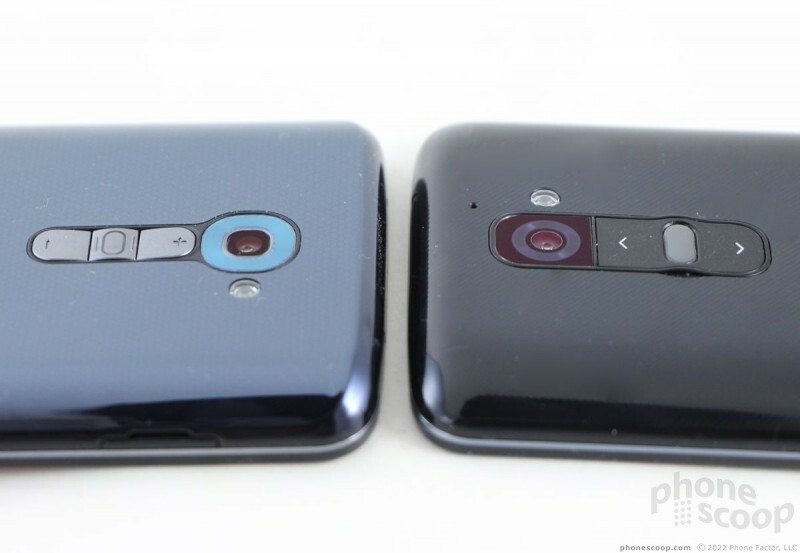 The G2 definitely pushes buttons, but are they the right ones? Phone Scoop digs deep to give you the answers. 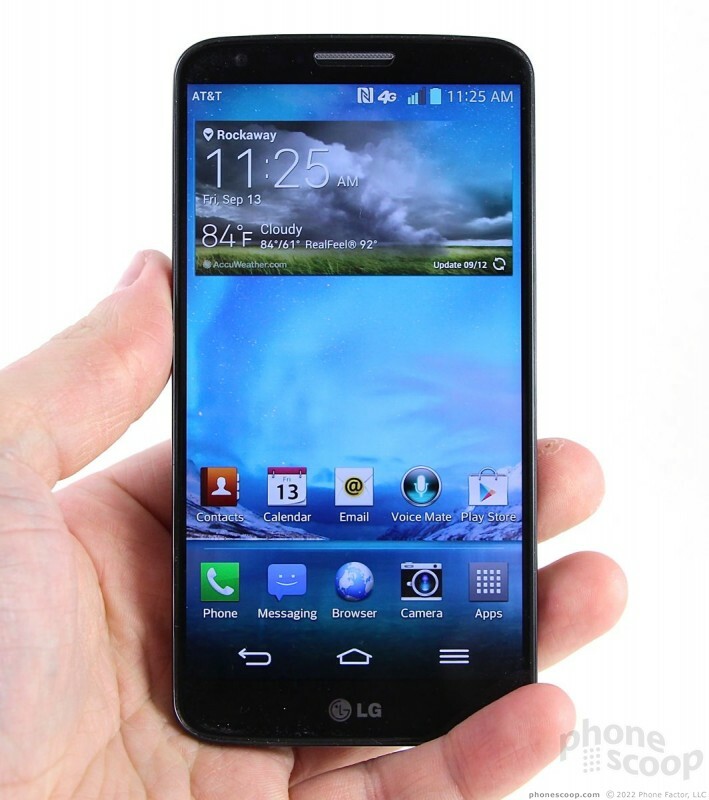 The LG G2 is a slim, sleek, and large smartphone. As with nearly all modern flagship phones, the big screen pushes the length and width ever-outward. LG did all it could to minimize the overall size with razor-thin bezels surrounding the screen, but it's still a big device. It's also - aside from one design element in particular - quite boring. 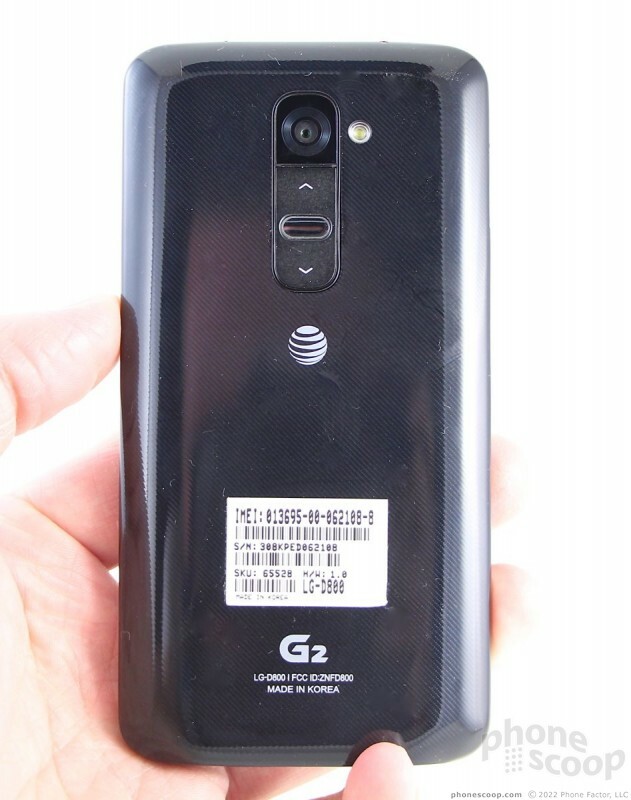 The G2 has the most conservative design out of all today's superphones. Nothing about the appearance, other than perhaps the size, stands out. 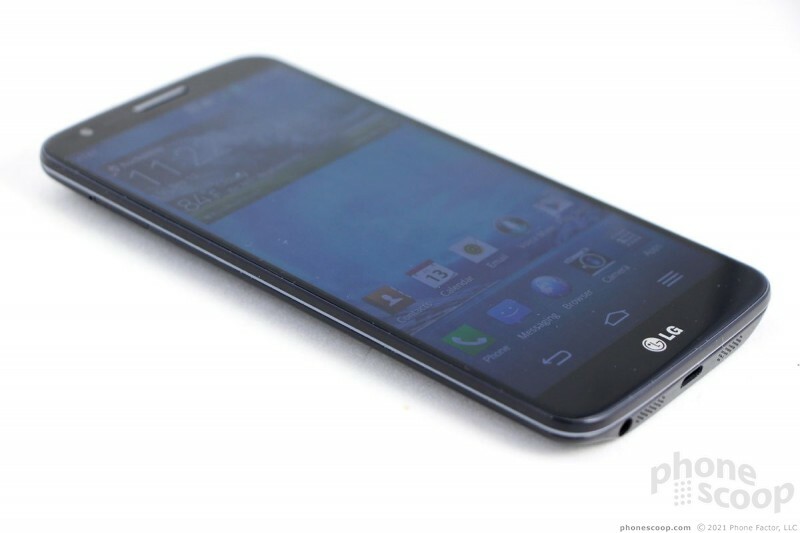 At least the Galaxy S4 has a chrome band around the outside. 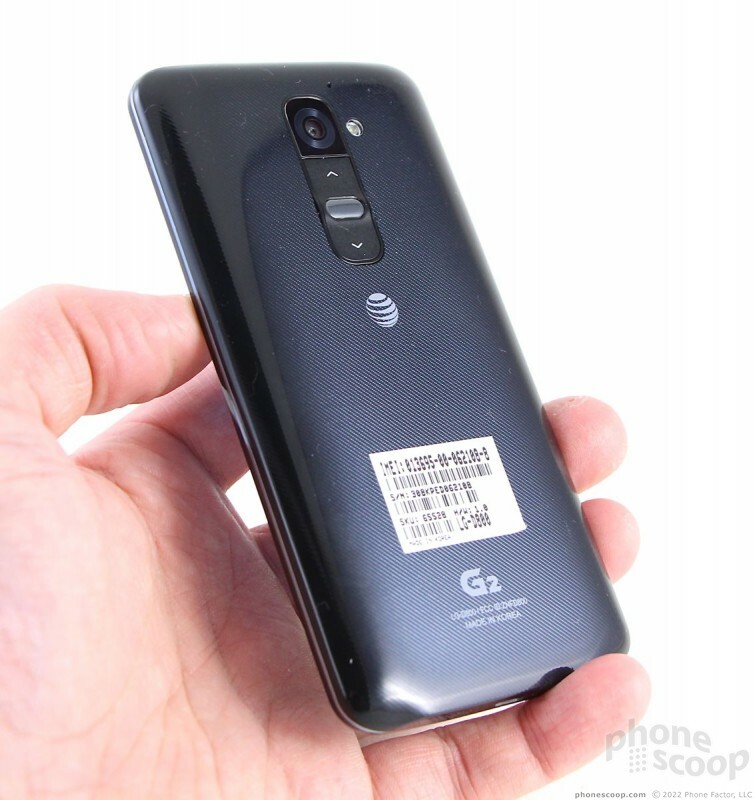 The G2 is black (or white) through and through, with no sizzle or flash. It's non-discript. 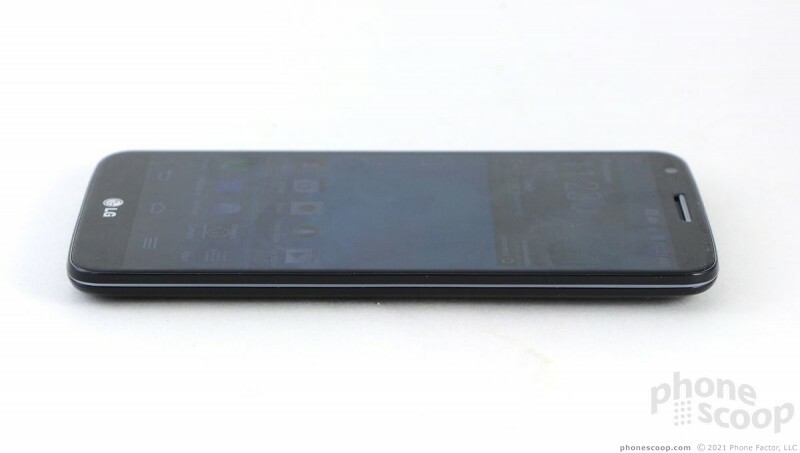 From more than three feet away, it looks like any other large phone on the market. 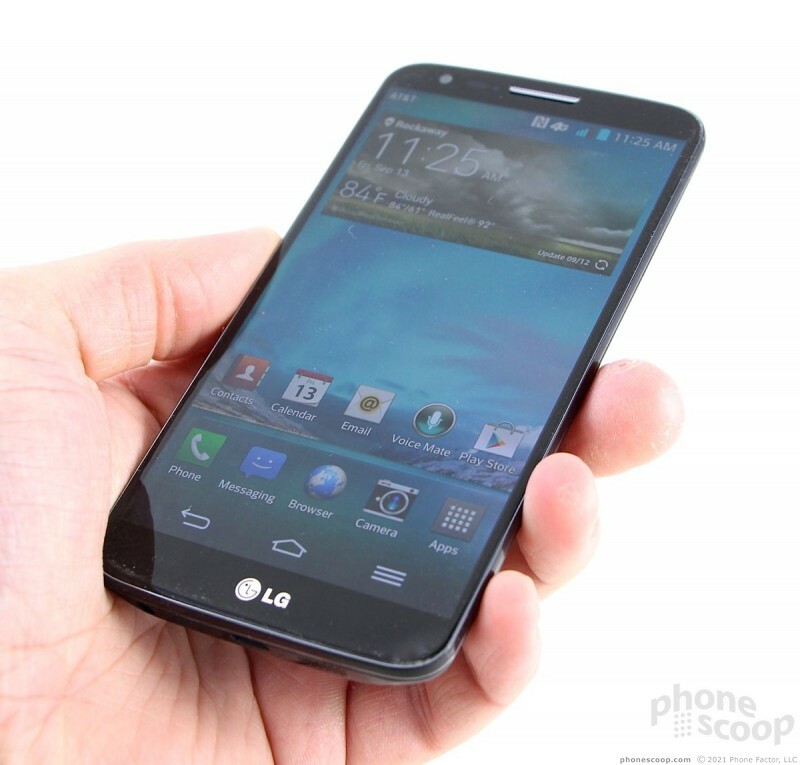 Last year's flagship from LG, the Optimus G, had more personality … but that's not saying much. 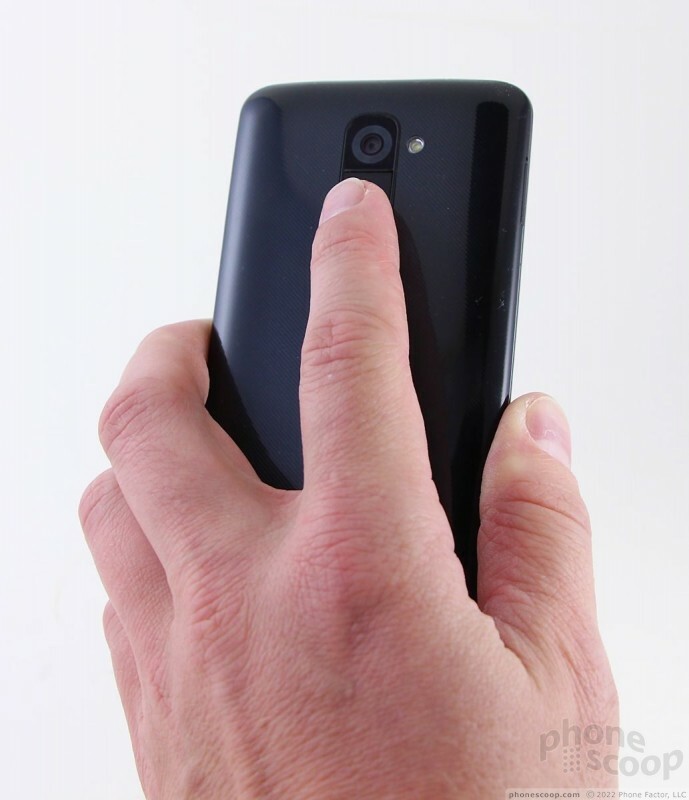 I haven't seen a device this year more prone to collecting finger grime than the G2. The front surface is of course glass and the rear shell is made from plastic. Both are reflective, glossy, and slippery. I needed little more than 60 seconds to smear them from top to bottom with oils from my skin. Gross. The glass is of good quality, but I seriously question LG's choice to use such a cheap-feeling plastic for the rear shell. LG could have done a better job. I also had a hard time holding onto the G2 thanks to the slick surfaces. There's a rather sharp edge where the display meets the side, but the side edges (if you can even call them that) taper quickly to meet the G2's back surface. This design helps make the phone easier to hold in the hand. Though it is big, it isn't uncomfortable to hold and use. The weight is noticeable, but it's not killer heavy. The G2 will slip into most pockets easily. The display measures 5.2 inches across the diagonal and consumes the vast majority of the front surface. There are hair-width bezels on either side of the screen, and somewhat thicker ones above and below. 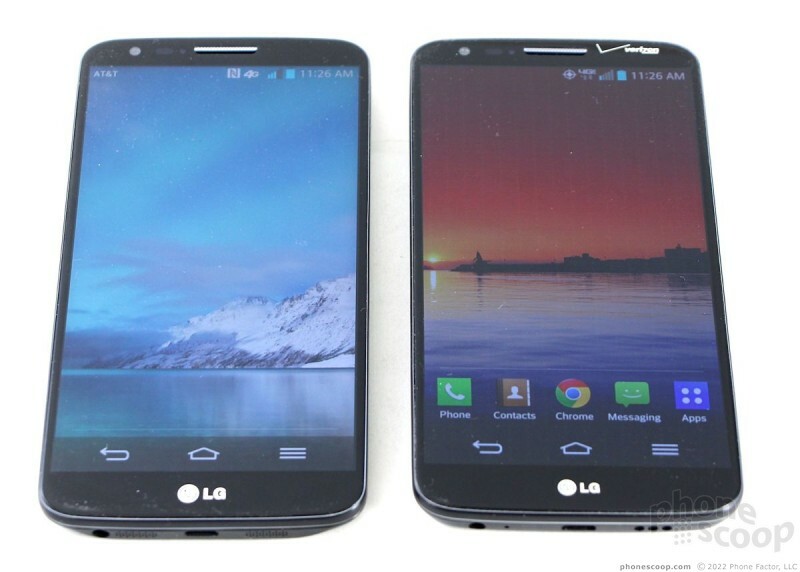 There's a slit in the glass at the top for the earpiece speaker, and a reflective LG logo positioned below the display. 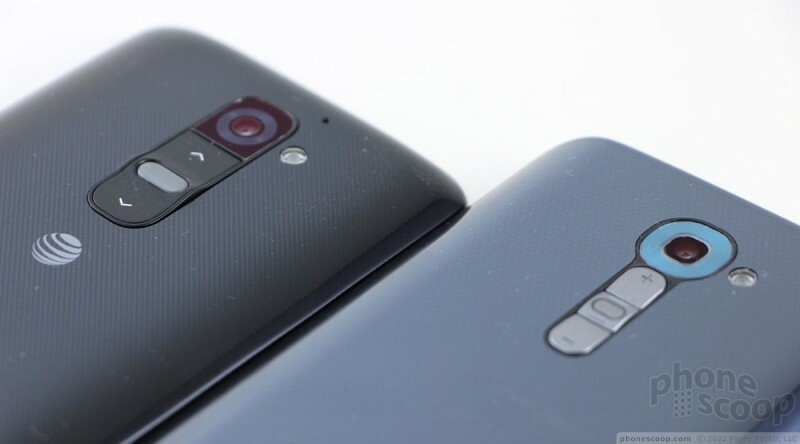 There are no capacitive buttons; the G2 makes use of on-screen Android controls. Placement aside, I didn't find the buttons satisfying to use at all. They are located directly beneath the camera module. 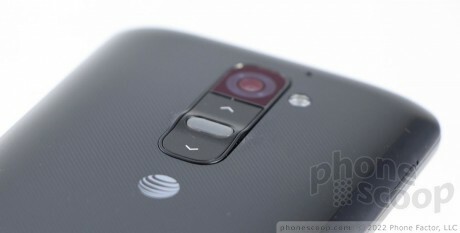 With the GSM (AT&T, T-Mobile, and international) version, there's a slight hump in the surface where the buttons are. The hump's peak is the screen lock button. It's raised to help your finger find the buttons and tell them apart. Your finger has to slide downhill (if you will) to hit the volume buttons. The screen lock button requires a lot of travel and feedback to activate. The volume buttons have terrible feedback. They feel quite cheap and make an awful, hollow "clucking" (yes, with a "U") sound when pressed. Because LG put the screen lock button on the back and also got rid of the physical Home button on the front, there's no obvious way to wake the G2 without picking the darned thing up. You can choose, however, to activate a feature called Knock On that lets you double-tap the screen to wake the device or put it to sleep. Why it's not activated out of the box is beyond me. LG touts the feature as "cool" and "hip", but due to the hardware design, most people will find Knock On quite necessary. LG points out that the buttonless design leaves your hand free to tightly grip the phone and still use the controls on the back. I guess. It didn't feel like I had a stronger grip on the G2 when using it. However, the side edges are seamless and free from protrusions. There are no buttons sticking out. This adds to the G2's slick feel. 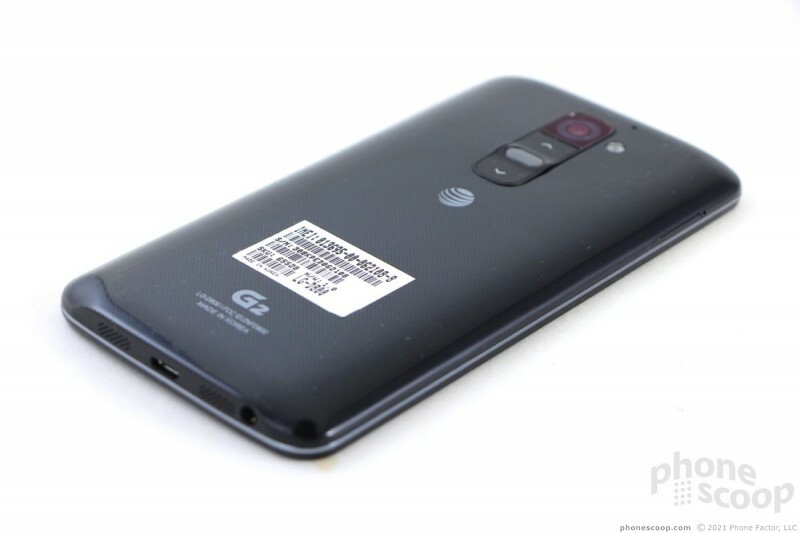 The LG's back cover cannot be removed. That means no swapping batteries. The GSM G2 provides access to the SIM card through a pop-out tray, but there's no expandable storage. You're stuck with either 16GB or 32GB. 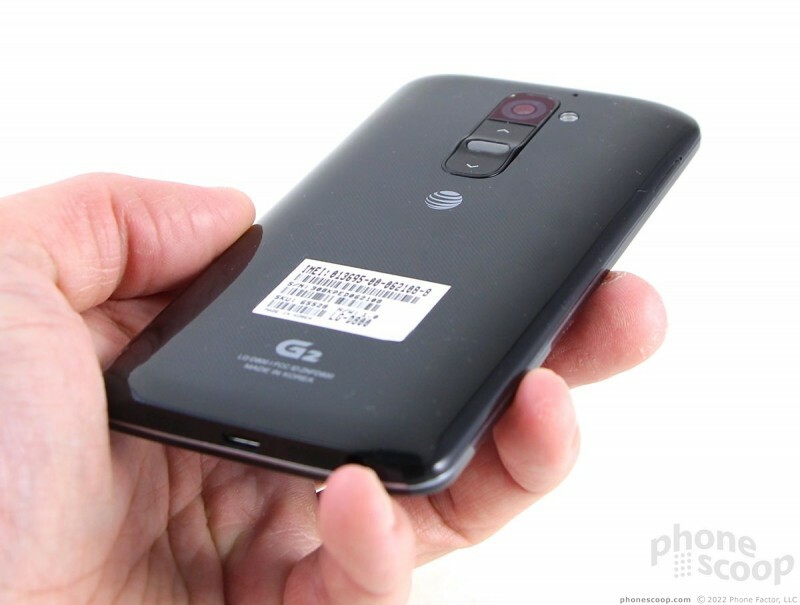 LG today announced the G2, the successor to last year's flagship smartphone and the first to use the company's new "G" branding for its premium devices. The G2's stand-out feature is a 5.2-inch in-plane switching 1080p HD display. 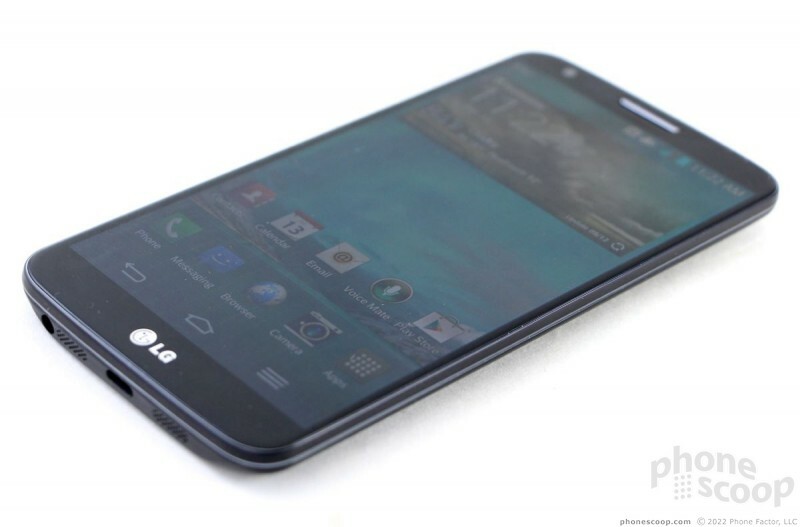 The FCC today approved an LG phone with distinct design elements that match teaser images LG has issued for its forthcoming G2 flagship phone. The variant approved by the FCC supports AT&T's unique LTE frequency band. If Eric has something against LG. Sometimes while I read, it felt like he was having a hard time trying to write something nice about this phone. What I think about this phone. - The camera is better than the one in the GS4. - The camera software is just about as good as Samsung's, but not really on Â par. - LG phones are the best at multitasking. - It lacks an stylus, a shame, really. Though, this is still a phone not a phablet. Â Â They should at least offer support for third party hardware, or sell it Â Â separatedly. Of course I don't have anything against LG. I use a Nexus 4 at least one day per week. I paid the G2 plenty of compliments, and noted how good the voice and signal performance was, as well as how incredible the screen is.